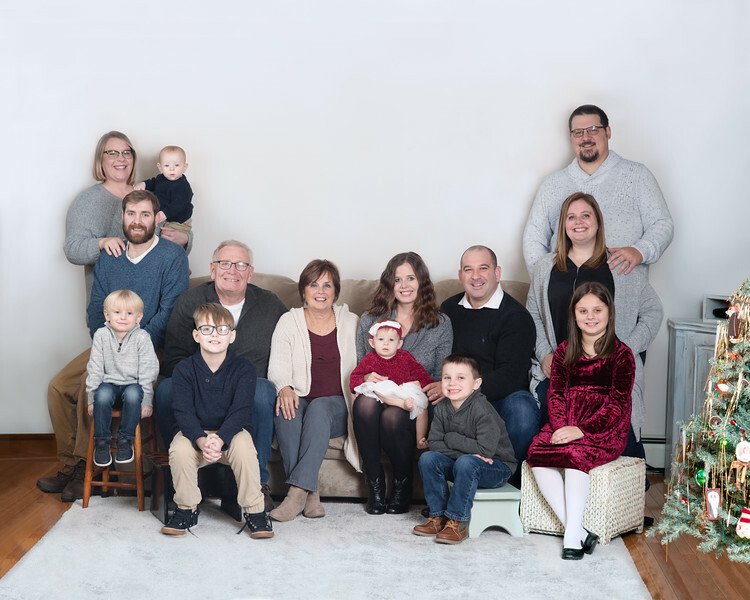 Today's blog is about a session I did in December of 2018 for a family I've known longer than any family on this planet (other than relatives)! 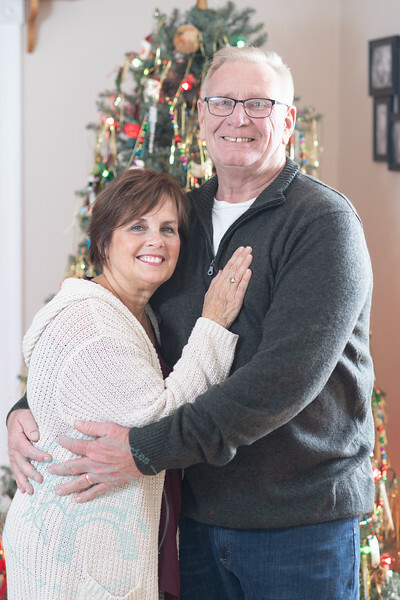 Meet Vince and Terri Durbin. Terri and my mom met before their oldest daughter and I had even started school. Meghan and her mom were on a walk near our apartment. I was riding my Big Wheels trike on the sidewalk while my mom walked with me and our moms stopped to chat. Terri and my mom, Karen, hit it off quickly and became fast friends. Meghan and I started Kindergarten the next year together at a small Catholic elementary school nearby. We spent the next nine years together in school. We had all of the same teachers and experiences. 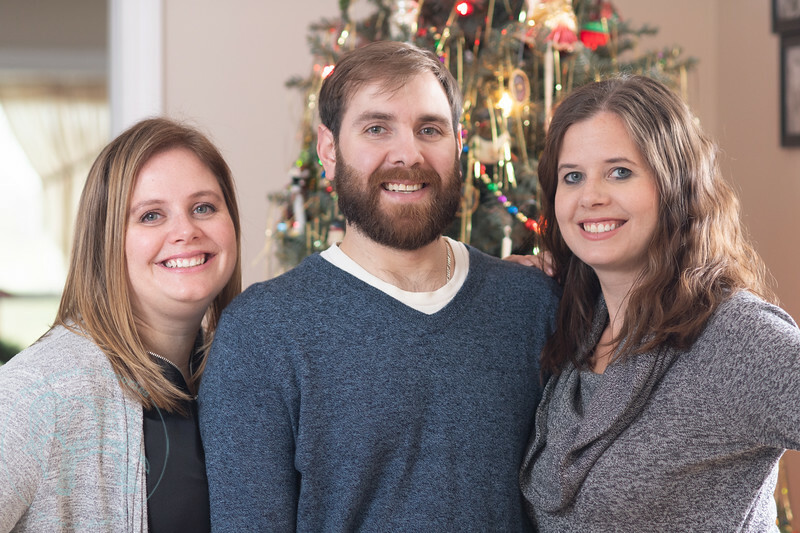 Meghan and I were both the oldest girls with two younger siblings. Our siblings matched in age as well to each other. 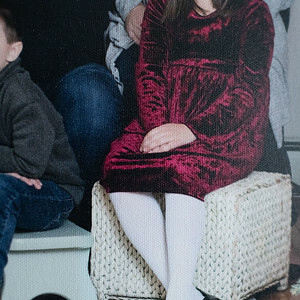 My middle brother, Tom, was in the same grade as Terri and Vince's daughter, Brianna. My youngest brother, Dan, was pretty close in age to their youngest son, Vince Jr., whom they nicknamed Buddy. We have lots of memories of swim parties in the summer, birthday celebrations, milestones, sharing embarrassing moments and achieving victories. Tom and Bri even went to their high school prom together. 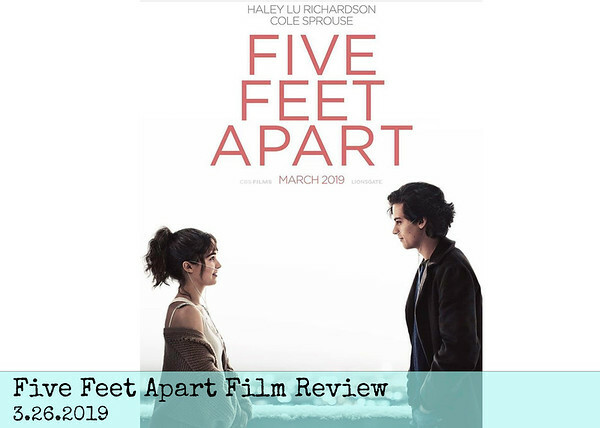 Life can pull people apart from circumstances just as much as it can put people together. Different schools led us to different paths for a while. So, its been a long time since I've seen the Durbin family; though Terri and my mom have kept in touch with text messages over the years. I was delighted to see everyone in December! 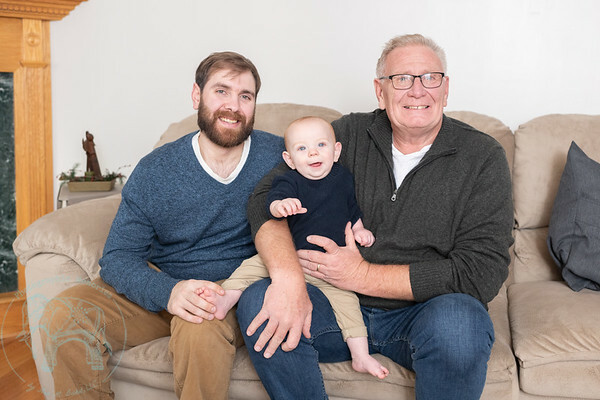 Later in life, our lives lined up again when both Vince and my dad, Bill, were diagnosed with lymphoma within a few months of each other. Vince is in remission and my dad is making good progress lately. Meghan and I both have 2 children who are each the same age. Bri and her husband have a little baby girl and Buddy and his fiance have a new baby as well. My brothers both have little ones too. Even though time and life have kept us all apart a bit, our lives really seemed to fall on the same trajectory. Isn't that beautiful? So, on this day, I was able to witness a little bit of this family's reunion. 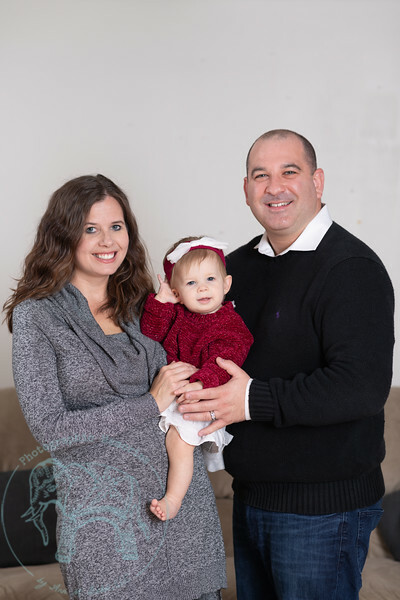 Bre and her husband came up from Florida for the holidays with their little baby. Everyone made it work to be together. 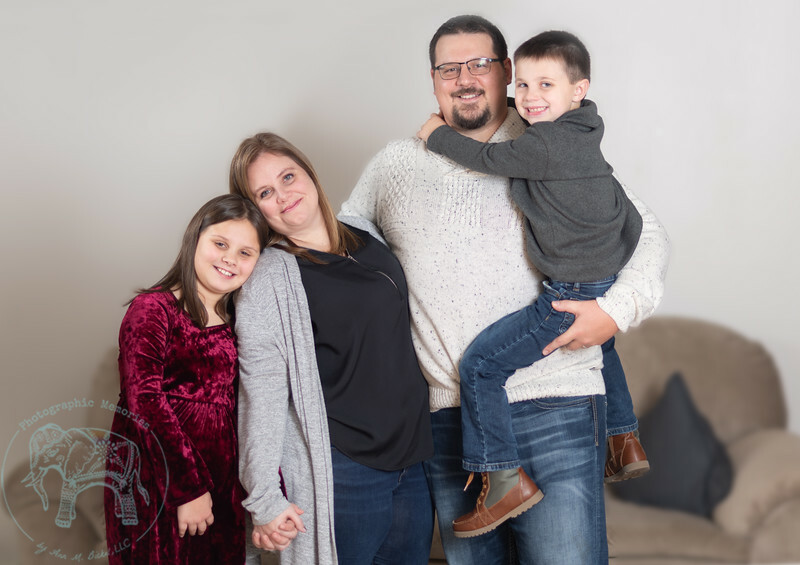 They were celebrating so much; the babies who had joined the family that year as well as Vince's good news of being in remission. They were celebrating the fact that they could actually be all together. It was beautiful and important. This is Vince and Terri with all of their grandchildren. Since we did these photos on December 23, it was really cold and not very nice outside. Terri wanted to do the session in her house. 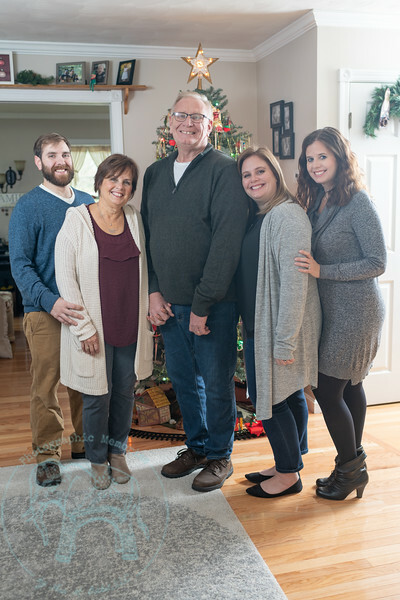 I brought my lights to get a studio-quality lighting set-up and we got as many family combos as we could. Terri and Vince's house had great neutral walls, which is really helpful for this sort of photo session so that no one has a strong color cast on their skin. It worked so well that the tired babies didn't have far to go to get their photos done. They could nap upstairs as soon as we were done! 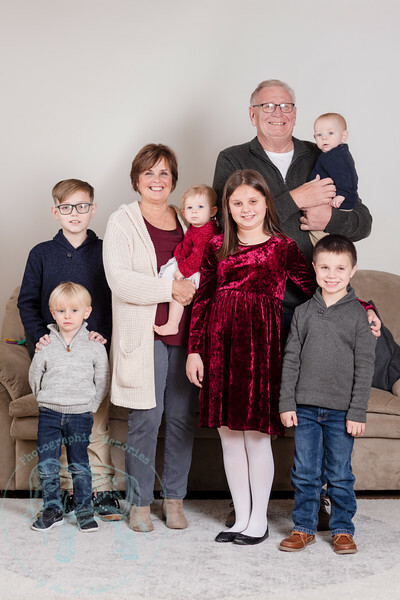 Below are Terri and Vince together and then them with their three children. We wanted to show more the house in some of the photos. It was special that we were there. Terri said she isn't sure that many years will be like that. She knows she has so much to be thankful for this year. This is Buddy's new fiance, Nicole. She has two handsome boys from a previous marriage. Buddy and Nicole are looking forward to their wedding and have had an exciting year with their new little baby too! 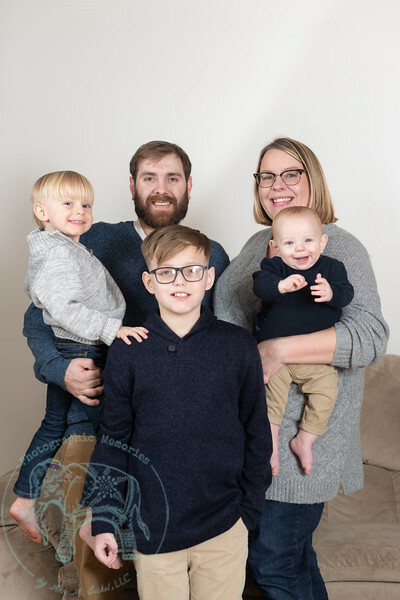 Below are Meghan and her husband, Brad, and their two children. 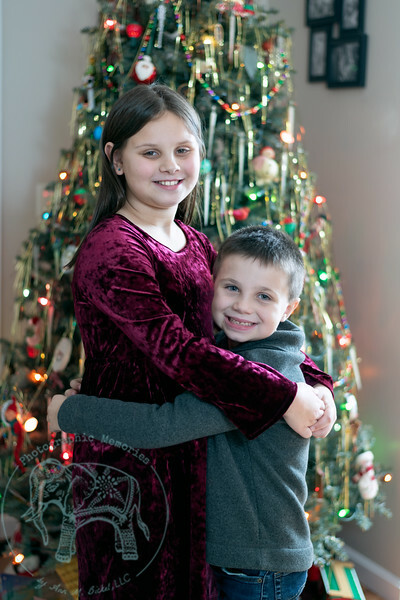 I was glad to capture an image of their kiddos in front of the tree sharing a sweet hug. We had some extra time after the babies got snacks and could do another few photos. 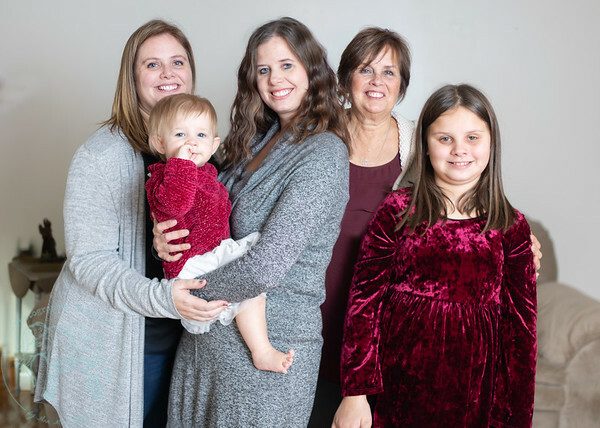 We caught the three generations of Durbin boys and the three generations of Durbin girls. What fun! When we did their family portrait, we took photos off of the wall. Often these can catch glare from lights and then later, when you view the photos, you only see white flashes of glare rather than the photos behind the glass. So, when I edited, I had that negative space and knew we could do something special with it. 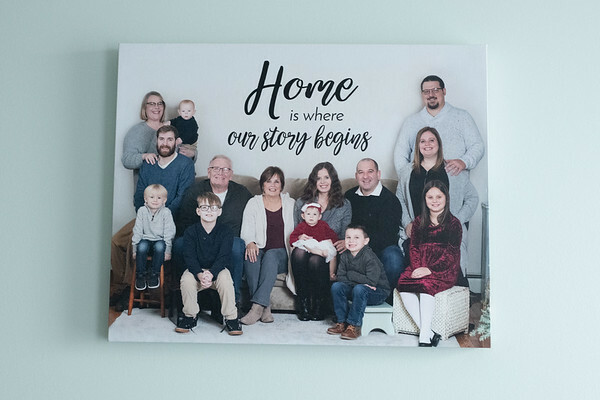 When Terri and Vince asked for a canvas, I suggested we could do a calligraphy-style quote in that space and Terri knew instantly the words she wanted there, "Home is where our story begins." she told me, without hesitation, on the phone. She loved the idea. After only two drafts, she gave her approval. I delivered the final canvas last week. They loved it! I like being able to help my clients with canvases. It can be confusing to anticipate how it will wrap around the edges. I also knew that the fireplace edge would appear on the front and look strange afterward, so I took out the fireplace completely and added in more wood floor and carpet so it would wrap perfectly while giving us space for the quote. Its fun to have something different to work on! I enjoy that. I'm thankful that I was able to reconnect with this resilient family. I know that they all have big hearts and I'm thankful to know them. 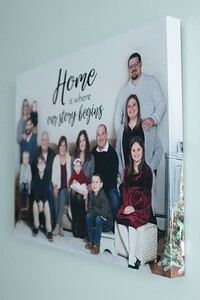 Its also really special to be able to provide families with these physical reminders, in photographs, of the real love that they all share across the miles and through the years. 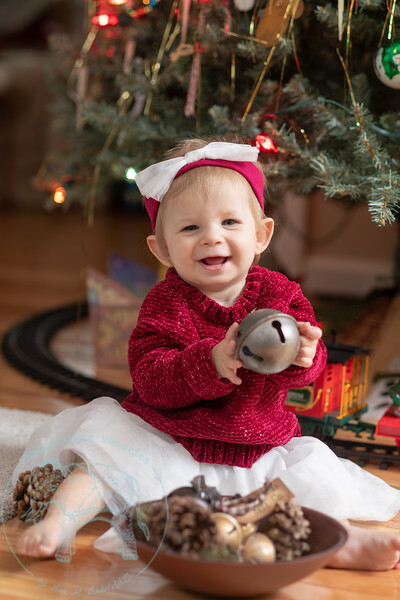 My business is about providing art opportunities in the Altoona community as well as portraiture photography work. As a creative person, I like to dabble in other areas. Though If you would like to follow along, you can check out my last blog article or join my newsletter!